Milwaukee, WI – Foxconn Technology Group (Foxconn) today announced a Request for Proposal (RFP) for Design / Build firms to propose innovative design concepts for the new Foxconn Place Racine, located at the current One Main Centre in downtown Racine, Wisconsin. Foxconn Place Racine will become a co-working environment for public-private partnerships focused on promoting smart city initiatives and programs that leverage the AI 8K+5G ecosystem that Foxconn is building in Wisconsin. It will also enable talent, businesses and academia to collaborate in a technologically advanced space that reflects Wisconsin’s ongoing transformation into a vibrant global high-tech hub. 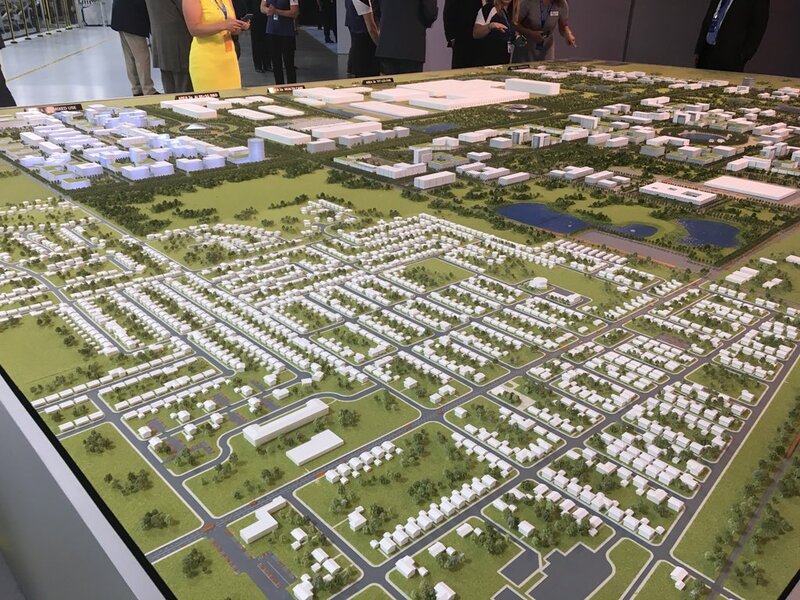 “Foxconn is requesting for proposals that blend the company’s need for smart co-working spaces, designed with the workforce of the future in mind, with our vision for Foxconn Place Racine as an incubator of smart city initiatives, driven by technological innovations at the Wisconn Valley Science and Technology Park,” said Dr. Alan Yeung, Foxconn Director of U.S. Strategic Initiatives. The Design / Build project is for a section of the building that covers approximately 20,500 gross square feet and must be constructed in an occupied building without disrupting activities in adjacent spaces occupied by current tenants. In addition, design, procurement and installation of furnishings (FF&E) will also be required and should be supplemented with recommendations for sustainable construction and energy efficiency. As part of Foxconn’s “Wisconsin First” approach, Design / Build firms with strong track records in Wisconsin will be given preference in the RFP process. Completed proposals are due by 10:00am CDT on October 25, 2018 and to be delivered to 611 E. Wisconsin Ave. Milwaukee, WI, c/o Adam Jen. Foxconn’s goal is to occupy the finished space in January 2019, or as soon as possible. To learn more about the RFP process, interested firms can attend an information session to be held at Gateway Technical College on October 16, 2018. Firms are asked to visit https://wisconnvalley.wi.gov/Pages/Racine-OneMainCentre.aspx to pre-register for the information session. Upon registration, details with specific time and location will be provided. Foxconn Place Racine is one of five Foxconn locations across Wisconsin, including the Wisconn Valley Science and Technology Park in Mount Pleasant. Together with Foxconn’s North American Headquarters in Milwaukee, Foxconn Place Green Bay and Foxconn Place Chippewa Valley, Foxconn Place Racine is part of the Wisconsin Valley talent and innovation network that Foxconn is building throughout the Badger State.